Open Table Fitzroy Fair Food Week Celebration! Join us for a special Fair Food Week celebration! 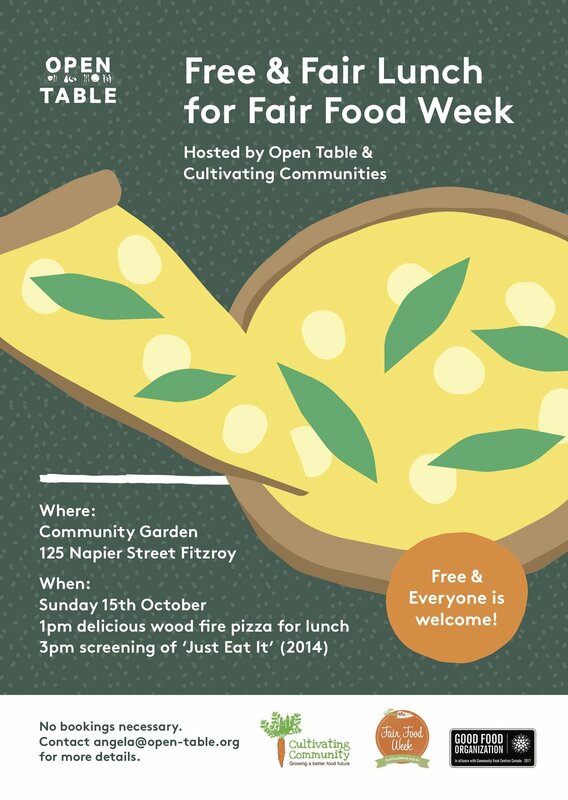 Our Fitzroy lunch will be held in the community garden, where we will be firing up the pizza oven for #wastnotwantnot PIZZA! Stick around after lunch for a free screening of 'Just Eat It: A Food Waste Story'. The kitchen is in the heart of Atherton Gardens community housing, enter via Napier St and head for the garden behind the bike cage and you will find us.